We’re excited to announce the launch of MyHeritage DNA, our new global genetic testing service, fully integrated into MyHeritage. This is big news: we now offer a simple, affordable and easy-to-use DNA home testing kit that can reveal valuable family history information and tell you more about your origins. Order a MyHeritage DNA kit today to uncover your ethnic origins and find new relatives. DNA is the hereditary material in the cells of the human body and it carries within it a unique genetic record. The MyHeritage DNA kit enables you to test your DNA to make new family history discoveries. 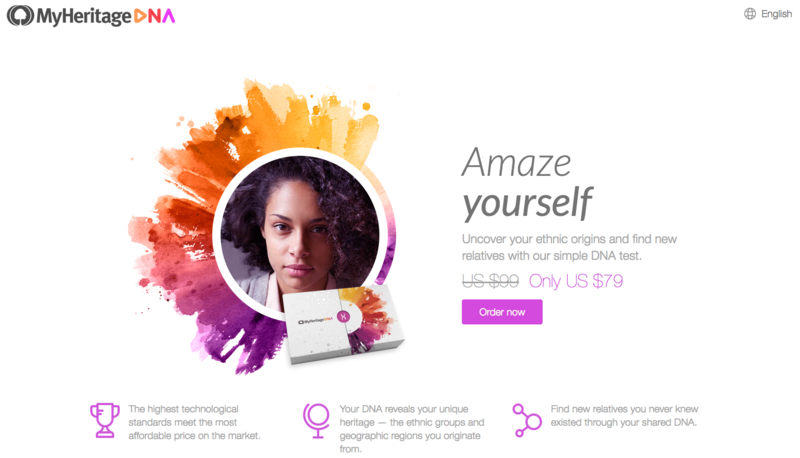 MyHeritage DNA kits are available at the affordable introductory price of $79 + shipping (prices vary by location). To order, visit MyHeritage DNA. You can track your kit’s progress on MyHeritage throughout the entire process. Your kit will include instructions on how to activate the kit and collect your DNA sample by swabbing your cheek; the test does not involve taking blood or spitting. The entire process takes only a few minutes. You then simply mail the sample to our lab for analysis. 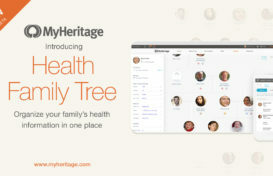 You will be invited to view your results on your MyHeritage family site in 3–4 weeks. All DNA data is kept private and secure. 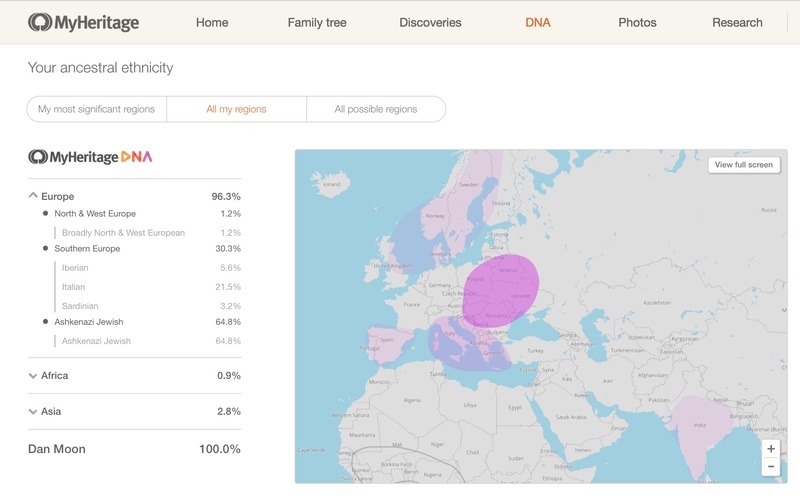 MyHeritage DNA provides two main features: DNA Matching for finding relatives, and detailed ethnicity reports that map the user’s ethnic and geographic origins. Additional features and capabilities are planned for the future. DNA Matching compares the DNA data of all individuals uploaded to MyHeritage to find matches based on shared DNA. DNA Matching can introduce you to relatives you may not have known about and open up exciting new research directions. If you share a common ancestor with someone, then it is likely that you will have some percentage of shared DNA that you have both inherited from that ancestor. DNA Matching can reveal the possible relationship between two matches. For example, if you and your match share 50% of your DNA, then you probably have a parent/child relationship, or you might be full siblings. That might come as no surprise if you deliberately tested yourself and your parent, but may be a life-changing revelation if you were adopted and are searching for a biological parent. MyHeritage displays the matches under the DNA tab, listing all DNA Matches sorted by the amount of shared DNA. Every match will show basic information about the person who matched your DNA, the possible relationship(s) between you and that person as implied by the DNA characteristics, information about the DNA Match quality, and family tree details if your match has a family tree. For every DNA Match, we show the possible relationship(s) as indicated by DNA between you and the person, such as first cousin once removed or second cousin twice removed. It’s sometimes difficult to visualize these relationships — for example, a second cousin 3 times removed — so we provide you with a handy relationship helper window that shows you what the relationships mean. To view the relationship helper window, click the question mark icon next to “Possible relationships”. If more than one relationship is possible, the various possibilities will be highlighted in that window. 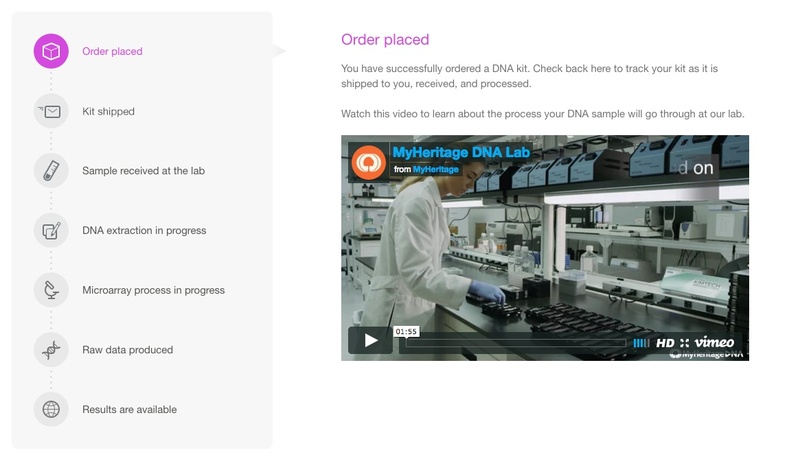 MyHeritage has already amassed a significant number of DNA kits uploaded by its users from other DNA services, providing valuable matches on MyHeritage from day one. If you’ve already tested your DNA, we invite you to export your raw DNA data from the service you tested with and import this data to MyHeritage for free to benefit from free DNA Matches. For example, AncestryDNA customers who want to be matched with 23andMe customers and vice versa cannot enjoy that on those services but will be able to benefit from cross-matching on MyHeritage, and it is completely free of charge. Follow these simple instructions to export your raw DNA data from the service you tested with and import this data to MyHeritage. In addition to DNA Matching, the DNA results include a fascinating breakdown of your ancestral ethnicity. You will be able to see the percentage of your DNA that comes from different populations around the world. This breakdown, displayed in a list and on a world map, may confirm long-held beliefs about your family origins, or perhaps reveal that you have roots in some unexpected places. The initial ethnicity reports include 25 ethnicities, but this number will grow significantly thanks to the fascinating project described below. Standard ethnicity reports are currently available as part of your MyHeritage DNA test results, with the expert reports to be released at no additional cost following the completion of this project. Today we’ve released a new dedicated mobile app, called MyHeritage DNA, for ordering a MyHeritage DNA test kit and viewing the results, on the go. Taking a DNA test is the perfect complement to building your family tree and researching historical records. DNA can be used to prove or disprove a documented family tree connection or tell you for sure if someone who has the same last name as you is actually related to you. DNA can also be super helpful in breaking through brick walls in traditional research. For example, adoptees who have no access to their adoption records can use DNA to try to find their biological family. On the other hand, when DNA matches you with someone with whom you share a common ancestor, family trees and historical records are often essential for piecing together exactly how you are related. Why test with MyHeritage DNA? We are the most global company in the family history space. So testing with us will give you the best chances of being matched with relatives in other countries. We support 42 languages. You can get customer support natively in more than 20 languages. We have a huge database with over 2.1 billion profiles, 7 billion historical records, and 85 million registered users. 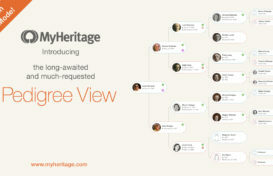 On a typical day, MyHeritage users add 2 million profiles to their trees. This enhances the DNA results. For most DNA Matches, you will be able to view your match’s family tree and see surnames and geographies you have in common. This is a feature not possible with other services such as 23andMe. We have amazing engineering. We are a technology company and are known for our matching technologies. DNA Matching augments our other matching technologies, it is just out of Beta and it will get better and better quickly. DNA testing is one of the most exciting developments in family history. Combined with our family trees, records collections, and matching technologies, MyHeritage DNA enables you to gain a deeper understanding of the ethnic and geographic origins of your ancestors and construct an even more complete picture of your family’s past. We look forward to harnessing this awesome technology to reunite families, engage in pro bono activities, and enrich the lives of our 85 million users. I have already tested from Family Tree DNA. How do I upload it to your site? What is the specific difference in autosomal analysis between Family Tree DNA and the new My Heritage DNA? Does My Heritage DNA delve deeper into ethnicity? Our Founder Population project will enable us to show you your ancestral roots with far greater resolution than any other DNA service. I have concerns about the privacy and security of the DNA data. Also, does the DNA test reveal whether someone has a marker for a disease? Feel free to take a look at our Terms and Conditions here: https://www.myheritage.com/FP/Company/popup-terms-conditions.php. For any further questions, please contact support@myheritage.com. At this point in time, we do not offer health tests. Does the DNA kit include a swab for my spouse or must I purchase it separately? Each kit contains two swabs, one for each cheek, intended for one individual to be tested. Additional tests can be ordered for relatives. do I need to have a family site listed at MyHeritage in order to receive a kit? You don’t need a MyHeritage family site in order to order a MyHeritage DNA kit. Enjoy! DNA tests are not available in Poland at this moment. When I’ll be able to order it to my country? MyHeritage DNA is currently offered in all countries worldwide except France, Poland, Israel, the state of Alaska, and a few French island territories. Good day. I have had my DNA tested already. What is the format for the Raw Data upload? If you have tested on 23andMe, AncestryDNA or FamilyTreeDNA, you can upload your DNA data to MyHeritage for free (via the DNA tab on your account profile on MyHeritage, see here: https://blog.myheritage.com/2016/05/myheritage-is-adding-free-dna-matching/) and get free matches with other users like you and with users who purchase the MyHeritage DNA kit. I have tested with 23andme and am excited about uploading the data to your site. What advantage(s) would there be to me in also having my DNA tested with MyHeritage? If you’ve already tested with another testing service, you are invited to upload your DNA data to MyHeritage in order to take advantage of our DNA matching. Right now, our ethnicity reports include 25 ethnicities, but this number will grow significantly thanks to the fascinating Founder Population project described here: https://blog.myheritage.com/2016/11/introducing-myheritage-dna/. This will be offered to those that test with MyHeritage DNA. Does MyHeritage do autosomal DNA ? The MyHeritage test is an Autosomal DNA test. If I do a DNA test now, can I review the outcome again using the same DNA test data in (say) a couple of years when there will be more data (and therefore more matches) available? Of course! You can either take a MyHeritage DNA test now, or upload your DNA data from another testing service. For both, you will get DNA matches on MyHeritage, and you can re-check them at any point in time. After testing with MyHeritage, you can download your raw DNA data. Please contact support at support@myheritage.com for more details. My wife has Spanish, Portuguese, Dutch and English heritage, father unknown. Can this test help in finding what heritage he was. If your wife takes a MyHeritage DNA test, she will get an ethnicity estimate that can give her a greater idea of her heritage. If I purchase a DNA kit. Does it include testing for both me and my wife, or does the price only allow one of us to test our DNA. The cost listed is per kit, and to receive DNA matches and an ethnicity estimate for each of you, you would each have to test separately. I would like to have both my wife and I tested, but wonder how we get the report. Is it only on your website,? You will get notified by email of your results, and they will also be available on your MyHeritage family site. I have transferred my raw DNA material from ancestry.com to MyHeritage but I cannot see my ethnicity report? We will soon be offering ethnicity reports for users who have uploaded their DNA data from other testing services. What is covered by the broad term “British” ethnicity–does it include Cornish/Welsh/Angle/Saxon/Iceni & other Celtic tribes? Would Roman show up separately or is it possibly the origin of the Iberian smattering in my DNA? I was expecting some Norse but perhaps the Finnish is an alternative? We currently have a separate ethnicity for English and for “Irish, Scottish, and Welsh”. We will be adding more in the future as well, making the breakdown more detailed. When activating your DNA kit, do you use your birth name versus your adopted name? It can be helpful for people that are matched with you if you have your birth name included as well. If they see your biological name, or common ancestral surnames, it can reassure them that they have found a correct match. I was wondering if it is already possible for users who have uploaded their DNA data from other testing services to get an ethnicity report? Waiting for your reply Thanks in advance. It is indeed! We no offer ethnicity estimates to all users, including those that have uploaded raw data from other testing services. Is this the same test that Ancestry does? The report looks virtually identical. We both provide Ethnicity Estimates for autosomal tests, although the algorithms are not the same, and may show different results. My son has had his DNA tested with 23and Me. Am I able to upload his DNA data onto My heritage website? I am currently waiting on my test results with My Heritage DNA testing. You can upload raw DNA data from other services to MyHeritage via the instructions here: http://www.myheritage.com/dna/upload.